Yesterday was election day. 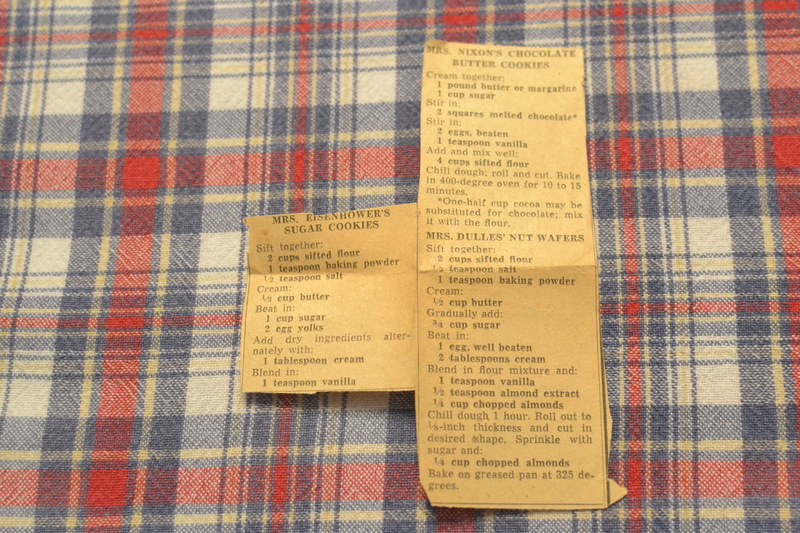 In Grandma Dora’s recipe box I had found a newspaper clipping with some cookie recipes. One was Mrs. Nixon’s Chocolate Butter Cookies, one was Mrs. Dulles’ Nut Wafers and one was Mrs. Eisenhower’s Sugar Cookies. I decided election day was an appropriate day to try out one of these recipes. 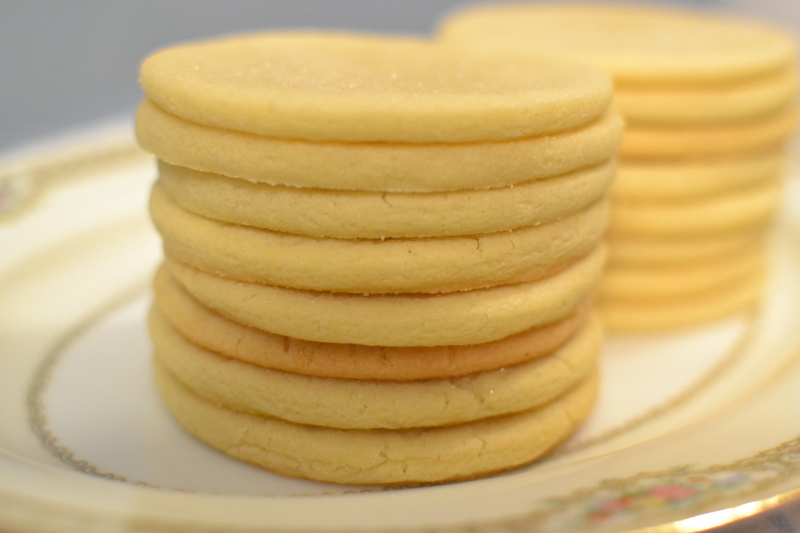 We’ve posted a lot of Grandma Dora’s cookie recipes: Drop Nut Cookies, Chocolate Chip Cookies, Oatmeal Drop Cookies, Shortbread Cookies, Ice Box Cookies, and Hermit Cookies. 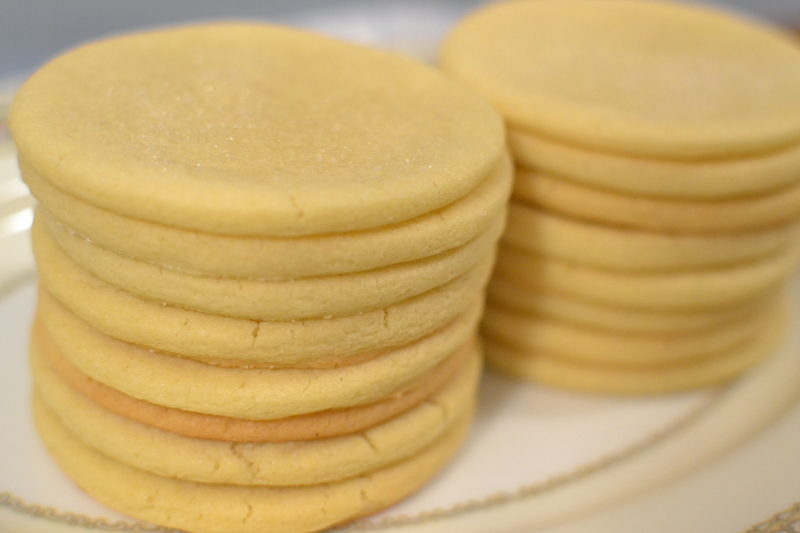 But, you can never have too many cookies recipes, so I thought I’d give Mrs. Eisenhower’s Sugar Cookies a try. Mrs. Eisenhower’s sugar cookie recipe consisted of a list of ingredients, but no baking instructions. 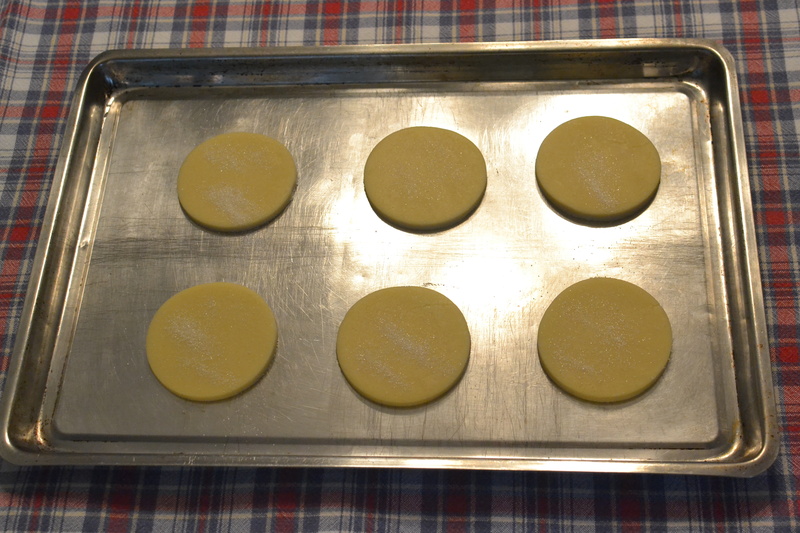 I wasn’t sure if they were going to end up being roll our cookies or drop cookies or how I was going to bake them. 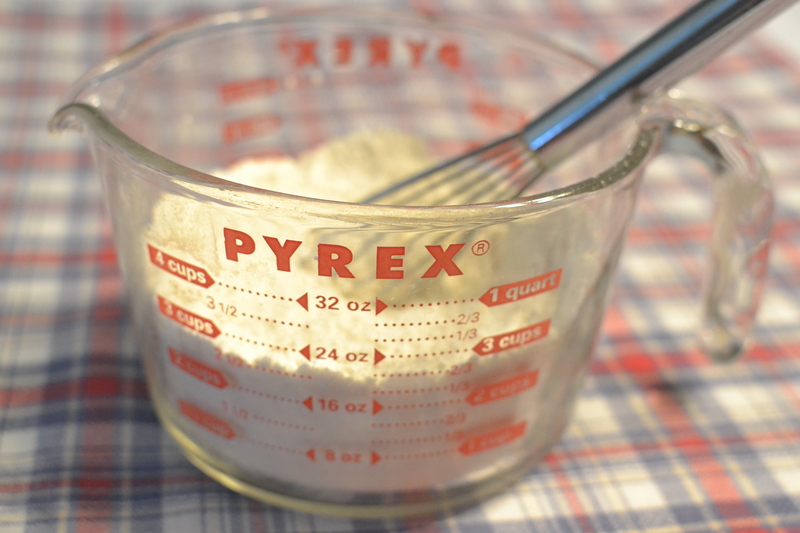 I started by combining the flour, baking powder and salt in a bowl. I just used a whisk to mix them together as the flour I used is already sifted. I then creamed the butter in the Kitchenaid. 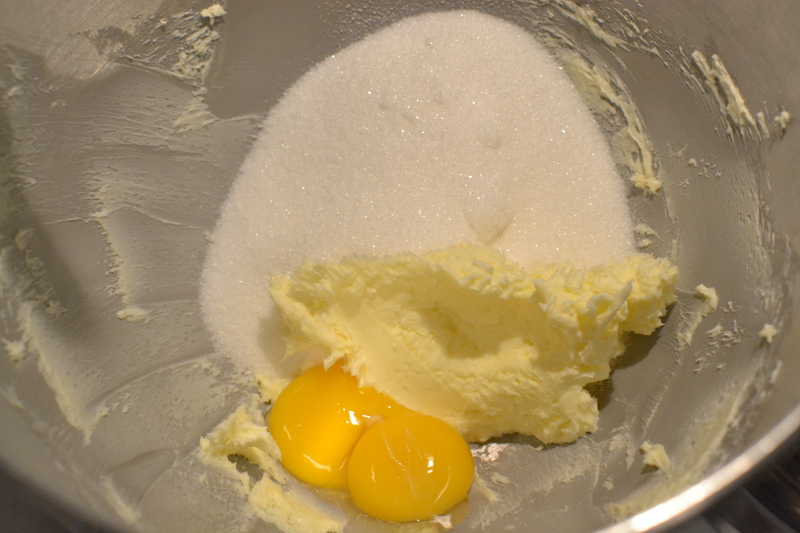 I then beat in the sugar and egg yolks. After that I added the dry ingredients alternately with the cream (actually, I didn’t have any cream, so I just used milk and it worked fine). At the end, I added the vanilla and I came out with some very nice dough. It definitely looked more like roll out dough than drop dough. I decided to refrigerate it for awhile before I rolled it out. I had to go teach a class that night, so I decided to throw dinner in the crock pot while the dough was chilling. I pulled the dough out of the refrigerator and rolled it out. 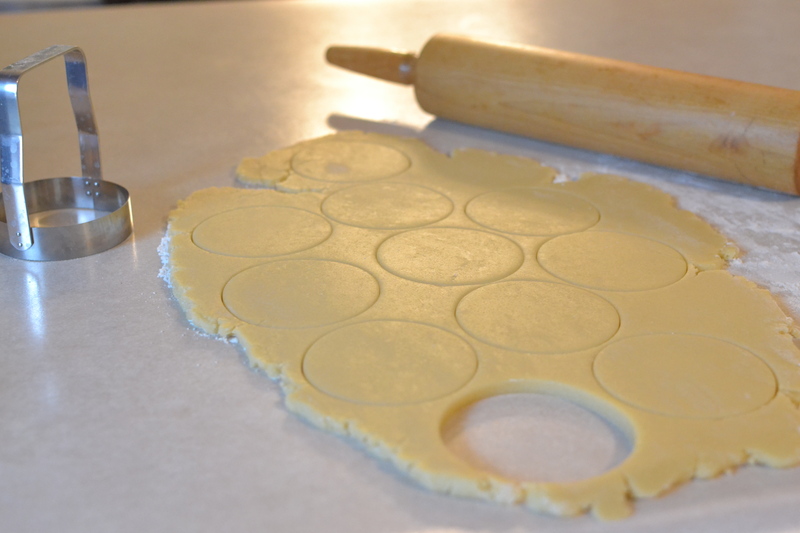 I then cut circle shapes out of the dough, put it on an ungreased cookie sheet and sprinkled the tops with sugar (the cookies could also be frosted if desired). I decided to bake them at 375 degrees and they looked done at about 8 minutes. They are a very thin cookie. I tasted one and decided right away that Mrs. Eisenhower was a good cook! I decided I would take some to share with my students at my class last night. I was giving them an exam, so I thought the cookies might make the night a little better for them. 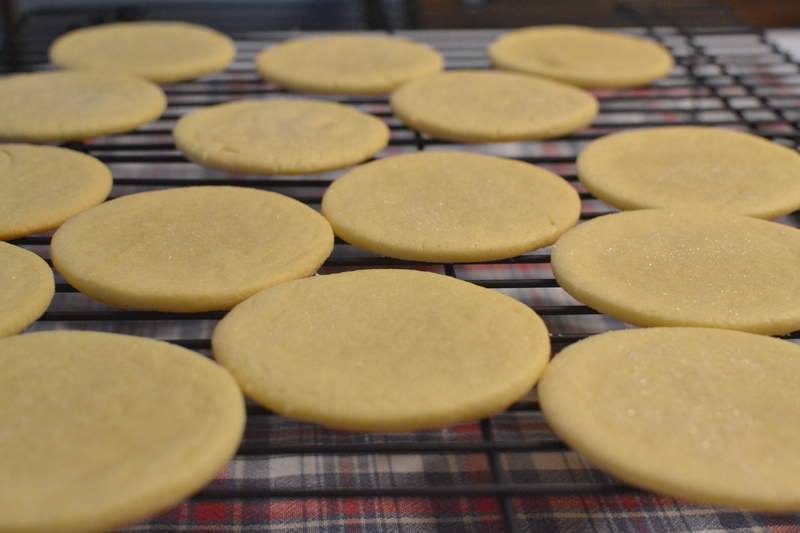 I am glad that I chose Mrs. Eisenhower’s Sugar Cookies for election day. They get my vote! 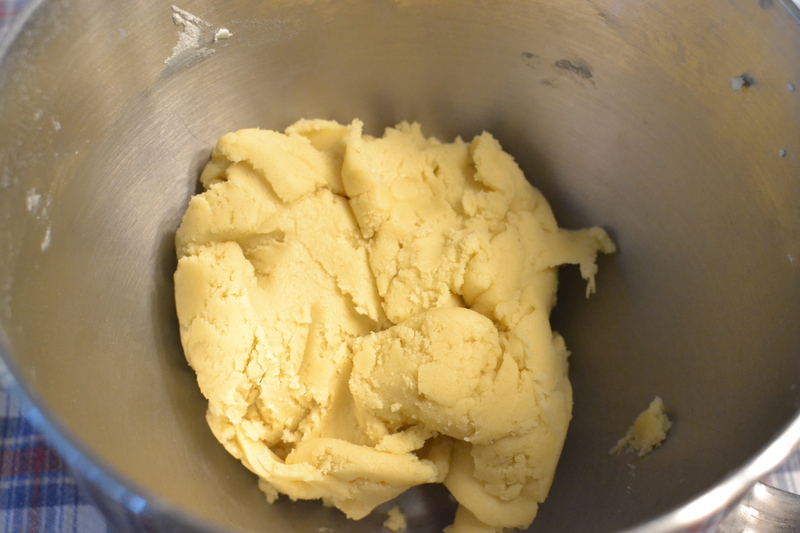 This entry was posted in Cookies, Dessert, Snacks, Uncategorized and tagged baking, Cookies, dessert, farm cooking, grandma's cooking, homemade, Kitchenaid, Roll Out Cookies, scratch cooking by GrandmothersRecipeBox. Bookmark the permalink.